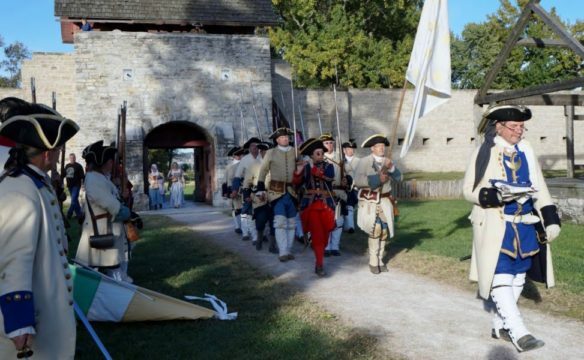 Welcome to the Fort de Chartres State Historic Site! 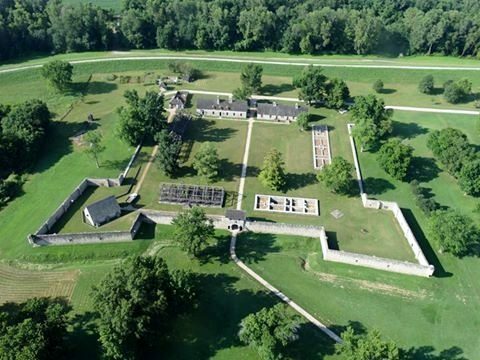 Located four miles west of Prairie du Rocher, Illinois, the site marks the location of the last of four successive French forts named “de Chartres.” Built in 1753 by the French during their eighteenth-century colonization of the Illinois Country, the massive stone fort was preceded by three wooden forts, with the first fort erected in 1720. 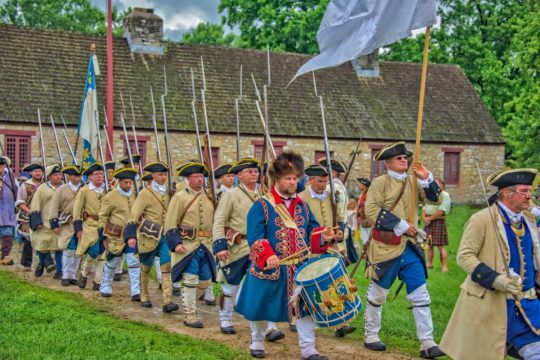 Fort de Chartres served as the French seat of government and its chief military installation in Upper Louisiana from 1753 until 1765 when it was occupied by the British. In 1763 France ceded much of its territory in North America, including what is now Illinois, to Great Britain. British troops occupied the fort from 1765 until 1772, when encroachment by the Mississippi River caused a collapse of the south wall. Subsequently, the remaining walls and buildings fell into ruin. Today, the site features an imaginative reconstruction of portions of the fourth Fort de Chartres. The fort gate, built in the 1920s, has been remodeled several times. Portions of the fort’s walls were reconstructed on original foundations in 1989. The site was declared a National Historic Landmark in 1960 and was added to the National Register of Historic Places in 1976. Inside the fort are the restored powder magazine, believed to be the oldest building in Illinois, two reconstructed stone buildings, and the exposed foundations of other buildings. 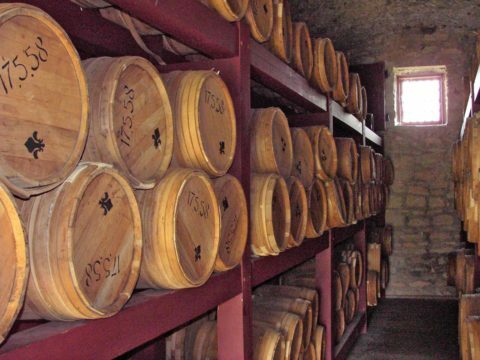 The powder magazine is stocked with reproduction barrels and barrel racks. A combination museum and office building, built in 1928 on the foundation of an original fort building, houses exhibits depicting the history of Fort de Chartres and the Illinois Country. 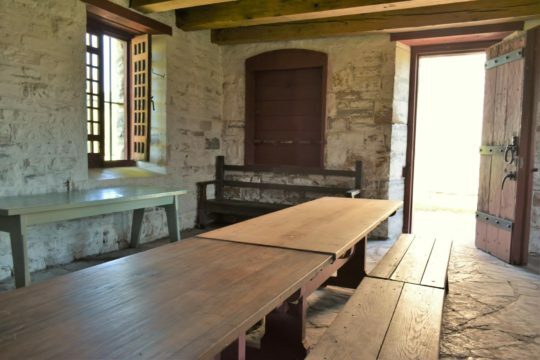 The large stone Guard House, reconstructed in 1936, contains a Catholic chapel furnished in the style of the 1750s, along with a priest’s room, a gunner’s room, an officer-of-the-day room, and a guard’s room. 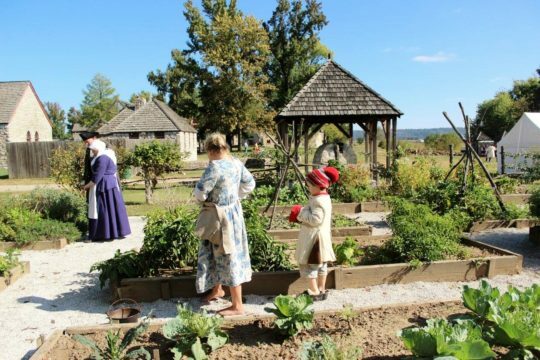 Also on the grounds are an operating bake oven, a garden shed built of upright logs in post-on-sill construction, and a kitchen garden with raised beds of produce that would have been grown in eighteenth-century Illinois. Recreational facilities outside the reproduced fort include a day-use area with a picnic shelter and grills. 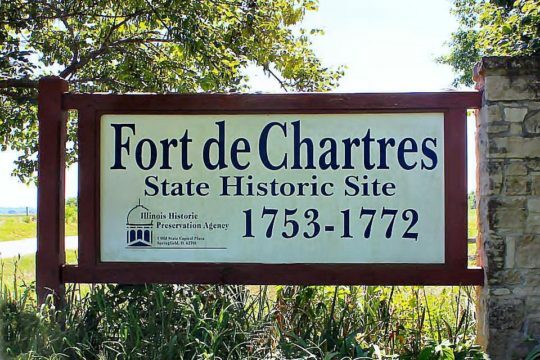 Fort de Chartres welcomes you to the heart of French Colonial Illinois! 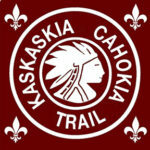 Please visit us throughout the year, whether for a wonderful day trip through the hills of southwestern Illinois or at one of our many special events held throughout the year. *PLEASE NOTE: The Prairie du Rocher Levee Commissioners made the decision to close the flood gates in Prairie du Rocher on Sunday, March 31st, 2019 due to the predicted flooding of State Route 155. As a result, we regretfully announce the cancellation of the Colonial Trade Faire and Musket & Rifle Frolic, scheduled for April 6 and 7. 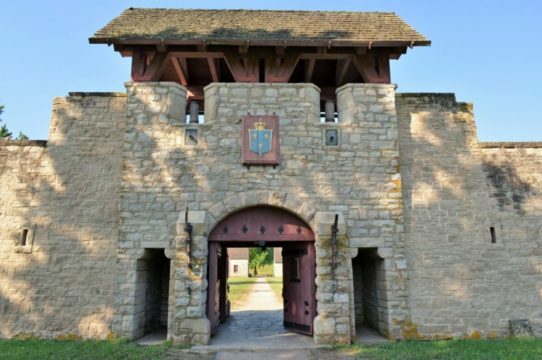 The decision to cancel this year’s April event was made in consultation with the Fort’s site supervisor, Chester Wingerter, as Fort de Chartres State Historic Site closes to the public once the Prairie du Rocher flood gates are closed. The site will remain closed until the flood gates reopen. We will announce the reopening of the flood gates and the reopening of Fort de Chartres State Historic Site to the public. Thank you for your patience. The site is operated by the Illinois Department of Natural Resources. 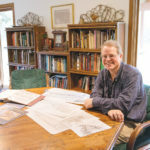 On July 1, 2017 The Illinois Historic Preservation Agency was divided into its constituents, the Abraham Lincoln Presidential Museum and Library and Illinois Historic Preservation, both part of the the Illinois Department of Natural Resources. 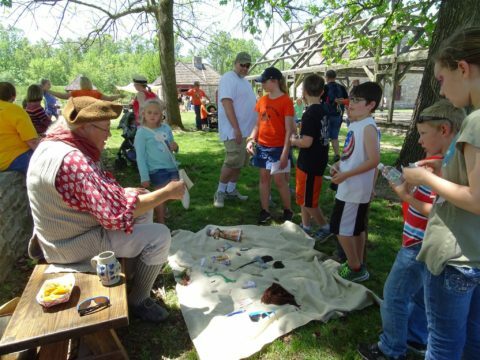 The state’s historic resources contribute to education, culture, and the economy include ancient burial mounds, forts, and buildings erected by settlers, and homes connected to famous Illinoisans. Open: Year-round. Site facilities are open Wednesdady – Sunday, 9:00 AM – 5:00 PM. Site grounds are open from dawn – dusk every day. Closed: Site facilities are closed on New Year’s Day, Lincoln’s Birthday, Thanksgiving, Day After Thanksgiving, and Christmas Day. Illinois Historic Preservation suggested site donation: $4 for adults, $2 for children, $10 for families. For additional Fort de Chartres State Historic Site and staff information, please visit the Contact Us page on this website. 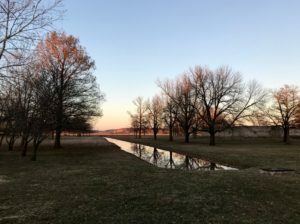 Fort de Chartres, The Heart of the Illinois Country website, is funded and maintained by Les Amis du Fort de Chartres. 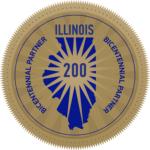 Les Amis is an officially endorsed partner of the Illinois Bicentennial Commission. 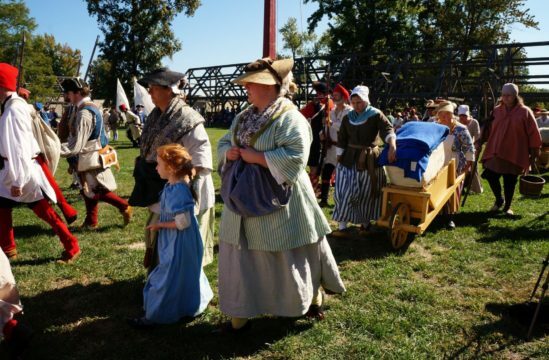 Currently the Fort de Chartres State Historic Site annual special events are being sponsored by Les Amis du Fort de Chartres. 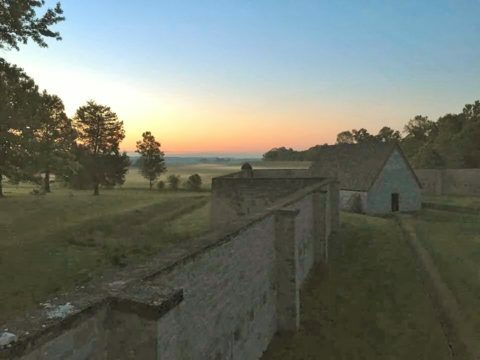 Les Amis and their Fort de Chartres 2019 Special Events Giving Campaign-thank you! 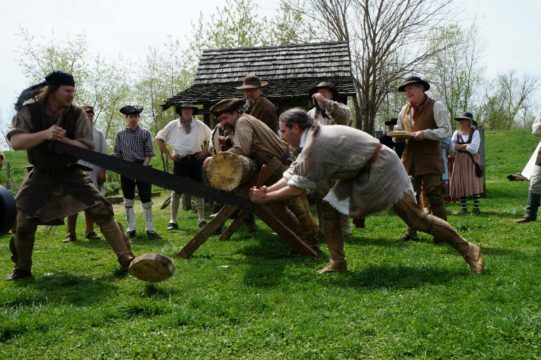 Please note: Colonial Trade Faire and Musket & Rifle Frolic, April 6 and 7, 2019 has been cancelled. The Kaskaskia Company and Les Amis du Fort de Chartres just learned from the Prairie du Rocher Chamber of Commerce that the Levee Commissioners have made the decision to close the flood gates in Prairie du Rocher on Sunday, March 31. 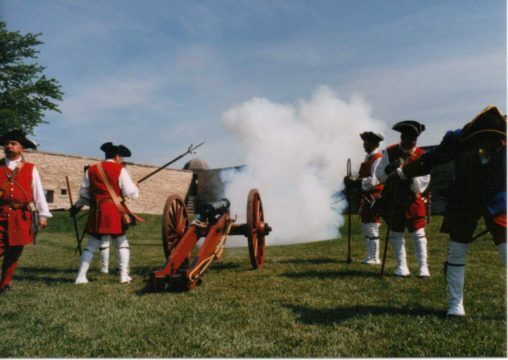 As a result, we regretfully announce the cancellation of the Colonial Trade Faire and Musket & Rifle Frolic, scheduled for April 6 and 7. 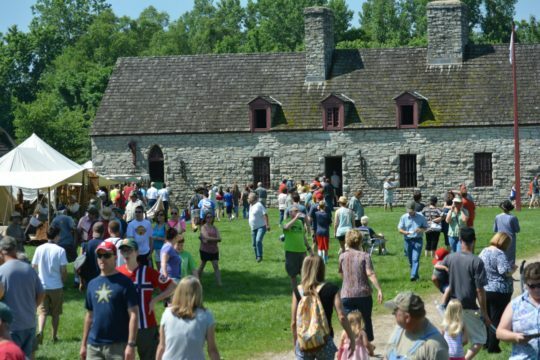 The decision to cancel this year’s April event was made in consultation with the Fort’s site supervisor, Chester Wingerter, as Fort de Chartres State Historic Site closes to the public once the Prairie du Rocher flood gates are closed. The event committee will be reaching out to our participant registrants with event registration refund details. 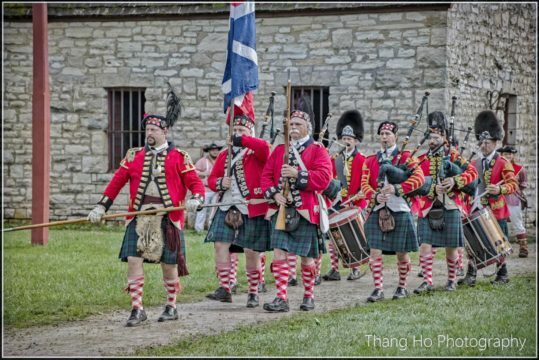 We thank everyone for your continued support of special events at Fort de Chartres, especially our only juried event, the Colonial Trade Faire. We WILL be back better than ever next year! And please note: The closing of the Prairie du Rocher flood gates is a precautionary measure, not a sign of imminent flooding of the Fort site. We will keep everyone posted as needed, but we are not concerned at this time. Again, thank you for your support! Les Amis du Fort de Chartres’ new line art book publication by author & artist Tom Willcockson is now available. 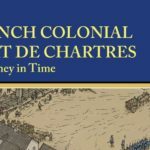 The French Colonial Fort de Chartres, A Journey in Time publication was made possible through the support of the members of Les Amis du Fort de Chartres, the general public, and through the Illinois Humanities Council “Forgotten Illinois” grant award. Show your support of this educational project by ordering your copy. Merci! 2019 Special Events Schedule is available on the Events page of this website! Photo credits on this website: Ericha Johanning, Thang Ho Photography, Maddog Michael, Carol Kuntz, Jennifer Duensing, Carl Esperman, James Cheyenne Trambley, and Dave & Deb Horne’s Fort de Chartres Store Facebook page. Thank you to Scott Irvin for supporting the Fort de Chartres website. 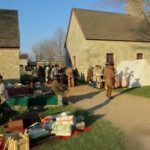 The site is maintained by Les Amis du Fort de Chartres volunteers and for any website questions, please email lesamisdufortdechartres@gmail.com. All words in blue offer informational links. Thank you to Mitch Lopata, of Lopata Design, for the donated graphic art creations for Fort de Chartres Special Events, including our new Les Amis logo.